Springs | Cal Fasteners, Inc.
As a leading supplier of Fasteners throughout California, United States and throughout the world, Springs are another product that many customers purchase from Cal-Fasteners. 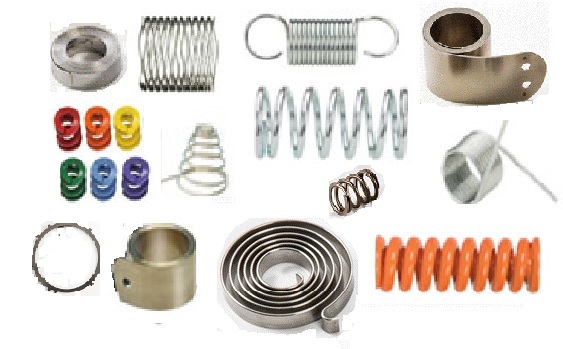 Springs are a resilient device, typically a helical metal coil. It can be pulled or pressed but returns to its former shape when released. It is used to either exert constant tension or absorb movement. Springs store mechanical energy and are usually made of spring steel however other materials are used as well. There are many different sizes, types and shapes Springs come in. Some of the common types are: Compression Springs, Extension Springs, Torsion Springs, Die Springs, just to name a few. Cal Fasteners works with some of the biggest and respected manufacturers in the US and abroad (Lee Spring, Associated Spring, Century Spring) with major manufacturers in the US and abroad to supply this much needed item for the Aerospace, Electrical, Electronic, Construction, Toy, Medical Industries and more. For more information on the springs you are considering, contact Cal Fasteners or Request a quote.